“Clean label” is arguably the biggest trend in processed food today. This brilliant article unpacks this trend and its inherent contradictions — and concludes that while it has a long way to go, clean label has the opportunity to become what it purports to be right now: a shift towards transparency, increased corporate responsibility, and better values. IN JANUARY 2016, kids peering into their bowls of Trix cereal at breakfast found that the thrill was gone. The bright colours — lemony yellows, orangey oranges, and grapity grapes — had been replaced with more autumnal, somber hues. Instead of synthetic dyes, General Mills’ famous spheroids of puffed corn had been tinted with turmeric, carrot extracts, radish juice, and other natural colours. “Lime green” and “wildberry blue”, intensely neon shades the company’s scientists could find no natural ways to duplicate, had vanished entirely. The resulting bowl looked drab and dull. But in theory, the change — which included swapping out high- fructose corn syrup for plain old sugar and corn syrup, and using only “natural flavours” — was a response to customer demand. “We’re simply listening to consumers and these ingredients are not what they’re looking for in their cereal today,” said Jim Murphy, president of General Mills’ cereal division, ahead of the launch. But the makeover met with harsh backlash, especially online. (“It’s basically a salad now,” one disgruntled lawyer whined.) By October 2017, all “six fruity colours” were back on shelves as “Classic Trix,” though the reformulated version continues to be sold. Green and blue Trix were, for a brief moment, victims of one of the biggest trends in food production: “clean label”. The term still hasn’t reached broad currency outside the industry, but virtually anyone who shops has seen its impact on the grocery aisle. Starting around 2010, and with increasing momentum, ingredient lists began to shrink, with fewer spooky chemical names. The biggest names in packaged food — including Kraft Heinz, Campbell Soup, Nestlé, and Hershey’s — have lined up to jettison artificial colours, flavours, and preservatives, revamping products with shorter lists of recognisable ingredients. Meanwhile, smaller upstarts like RX Bar and Sir Kensington’s wield clean labels as a competitive weapon, angling for market share with ingredient lists so minimal they read like recipes. On the surface, this may seem like the unprocessing of processed food. But the incredible shrinking ingredient list is a much stranger phenomenon than it at first appears. It’s more about optics than it is about health. It’s more about language than it is about specific ingredients. And it’s more about catering to a culture’s fears and biases than the genuine pursuit of better-for-you food. “If you can’t say it, don’t eat it,” preached journalist and author Michael Pollan in a 2008 NPR interview promoting his book In Defense of Food: An Eater’s Manifesto, where he also prescribed avoiding foods with more than five ingredients on the label. Pollan’s rule of thumb, a strategy for avoiding “highly processed” foods, reflected a growing suspicion of food technology — which seems only to have increased since then. Pollan’s suggestion, at least in part, was intended encourage healthier eating though whole foods and home cooking — anyone avoiding unfamiliar additives is more likely to reach for an apple than a sack of potato chips. But America seemed to heed his advice only selectively. We kept the processed snack foods. 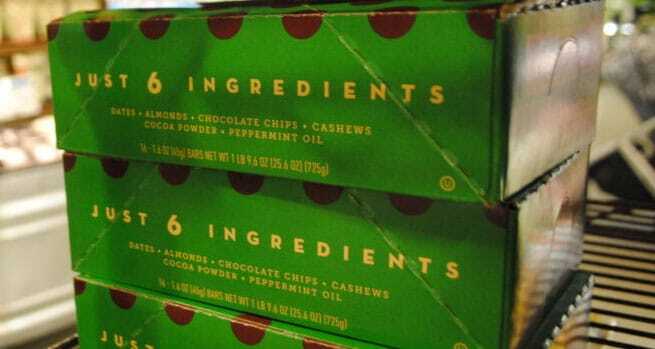 Now they just come with fewer four-syllable ingredients. Today, “healthy” snack sales are booming as the public becomes more additive-averse, scrutinising labels with a suspicion that borders on indiscriminate chemophobia. Google nearly any food chemical, and you’ll find reasons to fear. Maltodextrin, a starch used as a thickener, is a “metabolism death food”, according to popular “wellness physician”, Dr Axe. Carrageenan, a seaweed-derived emulsifier commonly used in non-dairy milks, might be “wrecking your gut”, according to Organic Life. Lifestyle blogger, Vani Hari, better known as “The Food Babe”, has declared all “natural flavours” to be “chemical warfare”. All this has taken its toll on consumer confidence in the food supply. According to the International Food Information Council (IFIC), in 2016, 38 percent of consumers named “chemicals” as their top food safety concern, up from 9 percent just five years earlier. This suggests that large numbers of ordinary Americans no longer trust the assurances of scientific experts or government agencies about the safety of food additives — much less corporations — not to put weird things into their bodies. And so they’re on a tear to banish strange and unfamiliar-sounding ingredients from their lives, the way Marie Kondo might purge a cluttered apartment. For now, plenty of food companies are happy to oblige them. It’s no secret why: There’s money in it. While sales of “conventional” processed foods have stagnated or fallen in recent years, sales of foods and beverages that boast no artificial ingredients or that claim to be “all natural” continue to rise, despite an often higher sticker price. This growth has been especially strong for foods that combine a clean label with promises of environmental sustainability. But a question remains: What, exactly, counts as “clean”? Retailers and chain restaurants with clean label programs, such as Whole Foods, Trader Joe’s, Kroger, and Panera, all have slightly different lists of prohibited ingredients. For instance, Whole Foods forbids food containing the artificial sweetener sucralose and synthetic vanillin from being sold in its stores; Trader Joe’s allows both, but bans oxystearin, a waxy preservative that Whole Foods currently permits. Panera’s original “no-no list” of forbidden ingredients included ascorbic acid (aka vitamin C), which it later removed after criticism for promoting pseudoscience. That’s not by accident. The definition of “clean” is necessarily murky, because it’s not based on scientific reality so much as subjective perceptions about authenticity and artificiality. In general, consumers seem to feel recognisable ingredients are safer and more wholesome, while additives with chemical-sounding names are undesirable or even dangerous. What determines whether an ingredient is “clean”, then, is not its safety or salubriousness, but how it is perceived: whether it’s foreign-sounding enough to cause a label-scanning shopper to think twice. As a result, some perfectly benign, tried-and-true food additives have started to become less than welcome. Take tocopherol. It’s a ubiquitous ingredient in packaged foods where it’s added to prevent rancidity and mask off-flavours. To the conscientious label reader, the word might raise eyebrows: It sounds medical and vaguely threatening, like a cousin to formaldehyde or Rohypnol. But tocopherol is nothing but vitamin E — an antioxidant that, by another name, might entice consumers. Vitamin E isn’t nutritious when used this way in a chocolate bar, though it’s certainly safe — and yet the science lab name can be a deterrent anyway. Or consider the case of xanthan gum, a versatile stabiliser and thickener produced by fermenting plant-derived sugars. It’s safe and very useful, but to American ears, “xanthan” sounds foreign, like one of the desert planets from Dune — literally, alien. And so it’s become a kind of processed food shibboleth — one that’s spurred continuous debate about what’s “natural” and not. Removing a safe ingredient because it scares people isn’t exactly a moral victory. But as companies race to streamline their ingredient lists, the label has become a space that can be more about semantics than health. Consider the conundrum of propylene glycol, a common flavour solvent, which is not considered a clean label ingredient when used as an emulsifier in foods. Its multisyllabic name has scared some manufacturers off, and, for some brands, its use is unacceptable. Strangely, propylene glycol can still make its way into clean label products — just through a back door. On an ingredient label, “natural flavour” can be a sort of black box, enclosing dozens of components, including flavor chemicals, flavour modifiers and solvents, none of which have to be individually disclosed. Many companies will use additives like propylene glycol when they can disguise them under the benign-sounding catchall “natural flavours” — even if they would reject them as individually listed ingredients. Hoffman-Howells — whose work involves translating between consumer perceptions of ingredients, the exigencies of industrial food production, and the finer points of federal regulations — sometimes finds herself troubled by these language games. She worries that words like “natural” create expectations among consumers that the realities of commercial food production cannot justify. Often, she says, “the ‘natural’ label just makes very little sense to me”. Words like “natural” create expectations that the realities of commercial food production cannot justify. After all, what’s so natural about a plastic jar of hummus made with chickpeas from three countries, blended with oil from combine-harvested commodity crops, and whirred together by automated equipment in a warehouse, sitting on a refrigerated shelf? The simplicity of clean label is an illusion. And yet companies increasingly exert themselves to cater to the American appetite for what is nearly impossible: foods durable enough to withstand modern-day supply chains, in all their length and complexity, made solely with components you’d find in any kitchen cabinet. How did we get here? When did the ingredient label become so fraught, a semantic zone to analyze and argue over?….